In America today, there seems to be a reality television show for almost every aspect of human endeavor; from those interested in buying and furnishing a new home, to cooking shows, automobile, music, drama to even those that simply show the whole world how they live their daily lives. Still, the list doesn’t end here. It extends to accommodate the likes of Glenn Villeneuve who stars on the National Geographic Channel show Life Below Zero where he lives in the cold Alaskan mountains with his closest neighbors being packs of wolves. On the show, Glenn relies squarely on his hunting skills to gather what he eats, while his instincts and experiences living in the wild come in handy whenever he is faced with any danger that can cost him his life. At one time, he was surrounded by a pack of 20 wolves but was still able to leave the terrifying encounter with his head still attached his body. Before he became an Alaskan hunter, Glenn Villeneuve was once a kid who spent his childhood days learning about the forest of Vermont. Glenn was born on 18th August 1969 in Burlington, Vermont, where he also grew up. Reports have it that Glenn loathed school as a child and would rather spend his time roaming the woods and learning about the natural life of organisms in the forest. He began this as a 6-year-old and seeing what has become of him as an adult today, there is no doubt that Glenn began early enough learning valuable life lessons that all contributed to where he is today. Reports have it that he moved into Brooks Range, Alaska, 65 miles North of the Arctic Circle in 1999 to begin what can be termed a nomadic lifestyle. Glenn ate what he got from hunting and fishing in addition to every other edible thing the forest had to offer. As he went about his life in the cold Alaskan mountain, fame found him when the BBC Worldwide discovered him in 2013 and thereafter created a perilous adventurous show called Life Below Zero. On the show, Glenn Villeneuve stars alongside other cast members like Andy Bassich, Sue Aikens, Chip Hailstone, Jessie Holmes, Erik Salitan and Agnes Hailstone. These unique people, rather than living their lives in the comfort of civilization, decided that there is no better home than the wilderness. Glenn has revealed that being on the show is a great experience for him, more so being filmed in the Alaskan valley which he considers as the most beautiful in the world is a great way for him to show and teach people the wonders of nature. Certainly, living in the wilderness with all its dangers, albeit the beauty of nature, is not something anybody can do. There are lots of risks involved with it which include sustaining injuries or even losing one’s life from wild animal attacks, falls/accidents, and the likes. Though those who decide to do what Glenn Villeneuve does, don’t primarily do it for the money; they, however, end up being handsomely rewarded in the process. Glenn’s net worth is still undergoing a thorough review, however, available estimates have it that he earns about $71,000 annually for being a cast member on the show. With regards to his marital life, Glenn Villeneuve is a married man with children. He has a total of 4 children from two wives. The television star was previously married in 2001 to Silvia Daeumichen, an opera singer, with whom he had Willow Leaves (a baby girl) and Wolf Song (a baby boy). While Willow was born on the 9th of May 2006, her kid brother was born on the 14th of June 2009. Both kids were born in Fairbanks but raised in the Brooks Range. Though the relationship between the couple seemed alright from the outside as they went about having a time of their lives in the natural environment, most people had no idea that marital troubles had crept in. Four years after the birth of their youngest child, the couple divorced. After this sad divorce which made Glenn Villeneuve spend some months alone in the Brooks Range, he gave in to love again. He got into a relationship with Trishia Kazan who thereafter moved in with him in November 2014. Trishia at the time was already a single mother as she had a daughter named Amelia Atkins from a previous relationship. Three years after moving in with Glenn, she gave birth to their daughter named Agatha on the 23rd of June 2017. 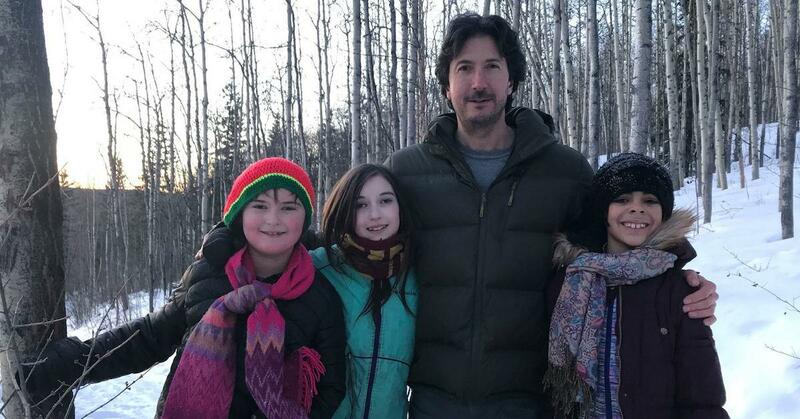 The family lives in Fairbanks but they do join him in the wilderness sometimes while he also visits at other times.